Thoughtful Thursday | The Happy Wonderer ~ ellen b. 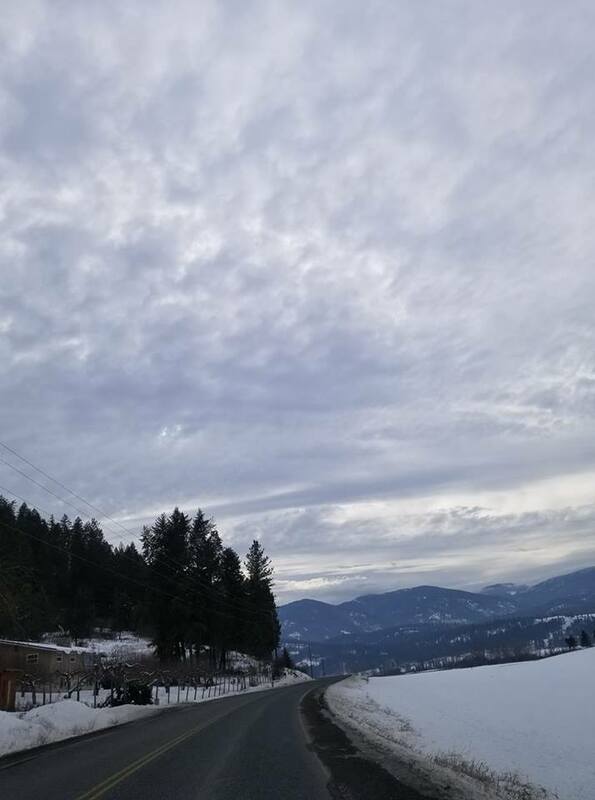 Posted on February 7, 2019 by Ellen •	This entry was posted in Quotes, Words and tagged John Piper, Psalm 19: 1-6, Resolutions, Taste and See, Thoughtful Thursday. Bookmark the permalink. Thanks for sharing these resolutions Ellen. They are well worth reviewing daily. I’m going to print them out and keep them in my Bible. …I do enjoy winter and snow, but I sure am thankful to be running around barefoot. Hello Ellen, wonderful resolutions. I am amazed at ordinary things. Thanks for sharing. Have a happy day and weekend! Love this, Ellen. I’m looking at the trees large and small from my living room window, over the snow-topped roofs. Another not just normal day, but a day of mystery anticipating more snow later today. My favorite things this week were people connections: a long conversation with my daughter about her desire for adventure and life as it is; neighbor chats about hunting for de-icer for our walkways and what kind to use and sharing what we each found; connecting with my grandson who lives in the icy tundra of Bellingham; and working on a project in my church office with the fun staff there. What a good idea to take time to look back over the week. Heart-filling. hello Terri, good to hear from you. 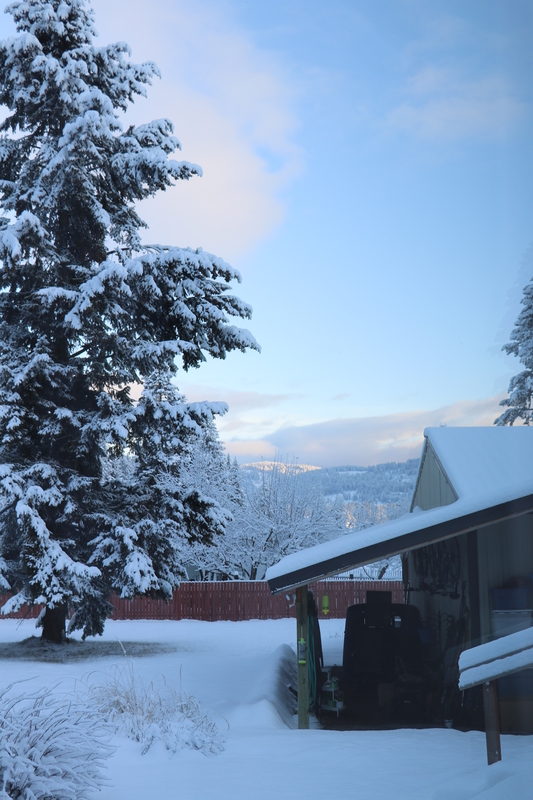 We are having more snow here in Colville today and more promised through tomorrow. 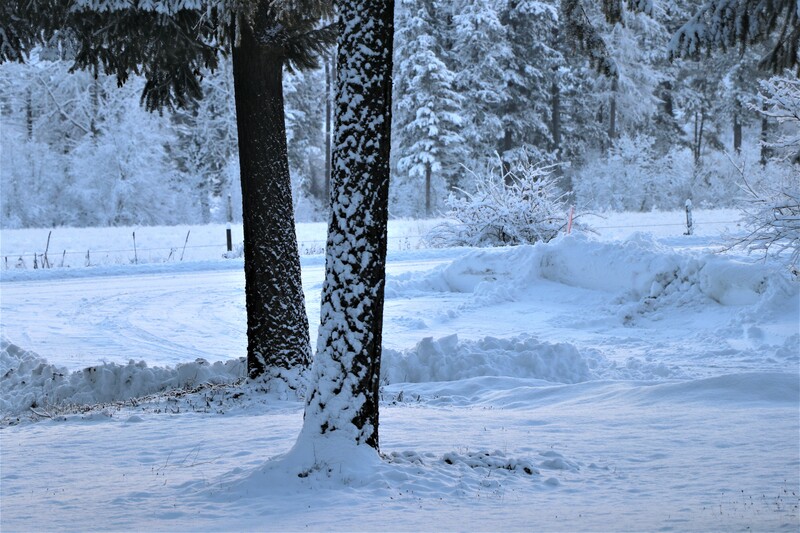 Snow in the Seattle area is a lot harder to deal with then here in Colville. Glad you are enjoying working in church office! Hope your weekend is peaceful. Very pretty views you are enjoying there. You can look forward to more skunk aromas as February is mating season for skunks. Be grateful that one (or two) are not living under your house. Yes, there’s a story there, but I’ll spare you. Awakening amazement – I like that! Sounds like a good devotional.